Welcome to the exciting business of kids yoga! Thank you for your interest in owning a Zooga® franchise. Our mission is to inspire fun and promote fitness to kids and families through yoga and much more. Zooga is a multifaceted mind-body fitness studio catering primarily to children ages 0 to 18. Created and perfected at our flagship location in Culver City, California, our approach is completely unique! Zooga is a bright, fun and creative studio dedicated to introducing kids and families to a one-of-a-kind branded yoga experience called Zooga Yoga. The pressures of today’s fast-paced, social media, digital bombardment, stress filled world, create particularly difficult challenges for our children. Zooga Yoga combines the most current mind and body wellness techniques with traditional yoga poses, dance, fun props, original kids music, and laugh-out-loud games to create interactive animal adventures that are the future of fitness for kids. 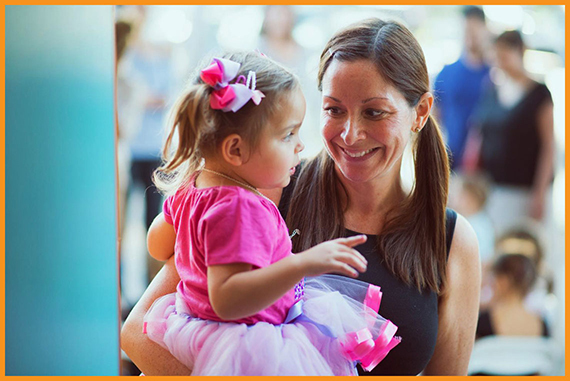 Zooga provides a wide variety of classes for families and kids of all ages in a loose, creative, healthy environment. Our classes are developed by industry professionals to create not only a deeper sense of self, strength and focus but also to encourage bonding and togetherness for mommies, daddies and their little ones. We also go the extra mile with parties, camps, school programs, special events and Kids Nite Out babysitting to make sure you can add Zooga to any occasion. Guided by yoga principles and designed for maximum entertainment, Zooga is clean, safe and good fun for everyone! ZOOGA offers a proven business model and a system that works. In addition, ZOOGA is the only franchise in the kids yoga market, making this one of the few opportunities to be the first into your market. ZOOGA offers both social and financial rewards that will increase your quality of life beyond most investment opportunities. As a franchisee, you will be given all the tools to duplicate the system— the training, the name, use of the trademarks, the market research and the support to maximize your success in every facet of the business. We will assist you in picking the best location(s) in your desired territory and help you design and use your space to its maximum effect. Immediately upon signing the Franchise Agreement, you will have access to not only the system and policies but our strategies and guidance as well. We take your success personally and will provide preferred vendor lists, personal assistance and advice in every area of your business. You will have continued access to our growing list of retail and service products. You will enjoy the benefits from our name recognition and marketing experience. You will be part of the ZOOGA network of successful franchisees. If you want to own your own business, be an important part of your community and have passions for fitness, personal growth and children, then our ZOOGA franchise is for you. Franchiser has been in business for many years. This means you can avoid expensive start-up mistakes. You’ll be taught what you need to know to start and run your business. Name Recognition. Brand names bring more customers into the business and provide a competitive advantage that independent units can seldom afford. Site Selection. You’ll receive advice in selecting a market area to maximize profits. Quicker return on investment than your own start-up. Speed and Efficiency. The franchiser will save you time in starting up so that you can begin working with customers right away instead of trying to resolve unforeseen problems. Franchisers try to keep your business as simple as possible so that you can concentrate on the activities that will make you the most money and make your life as rewarding as possible. Step 1: Fill out the franchise application (link below) and email back to: franchise@zoogayoga.com. Step 2: After we receive your application, we will contact you for an informal meeting by phone, Skype, online or in person, depending on location and availability. Step 3: You will then be qualified and sent the Financial Application and Franchise Disclosure Document (FDD) with exhibits, including the Franchise Agreement. Step 4: Review the FDD and gather information from owners and outside opportunities in the kids’ market. This step may include meeting with owners and speaking to franchisees. Step 5: Make the purchase. Step 6: Set closing date, sign the Franchise Agreement and pay your franchise fee. Step 7: Schedule our franchise training dates, receive the operation manuals, short-term and long-term goal checklists and get started owning your new business! Remember you can call us for anything. We will always be there to support you before and after your doors are open. On behalf of The Zooga family, we would like to welcome and thank you for inquiring about our exciting franchise opportunity. ZOOGA is unique and we believe you will agree that it is one of the most rewarding franchise opportunities for you and your family. We believe our model will be as successful and rewarding for you as it has been for us. Please take the time to review this information and make a note of questions that come to mind. Take advantage of the early offering stages by acting as quickly as you can. Please note that filling out the application in no way obligates you to move forward with the franchise. It simply assures that everyone has all the information needed to make an informed franchise decision. We are truly excited to hear more about you and share more with you about Zooga! Want to open a Zooga studio? Take the first step to learn more about opening a studio in your community. Fill out the form below so we can get to know you. Disclaimer: This website and any franchise sales information on this site do not constitute an offer to sell a franchise. The offer of a franchise can only be made through the delivery of a Franchise Disclosure Document (FDD). Certain states require that we register the FDD in those states. The communications on this web site are not directed by us to residents of any of those states. Moreover, we will not offer or sell franchises in those states until we have registered the franchise (or obtained an applicable exemption from registration) and delivered the FDD to the prospective franchisee in compliance with applicable law. Our website has not been reviewed or approved by the California Department of Business Oversight. Any complaints concerning the contents of this website may be directed to the California Department of Business Oversight at www.dbo.ca.gov.